Judith is an accomplished artist; a self-taught painter, potter, writer and a professional photographer. She graduated from Emily Carr College or Art and Design with a major in photography. Judith has had many solo and group shows and has won many awards for her work. Judith is inspired by the beauty of creation and colour and likes to share her inspiration with others through her art making and instruction. Judith is very perceptive in her approach to social issues and is versatile in many art mediums. 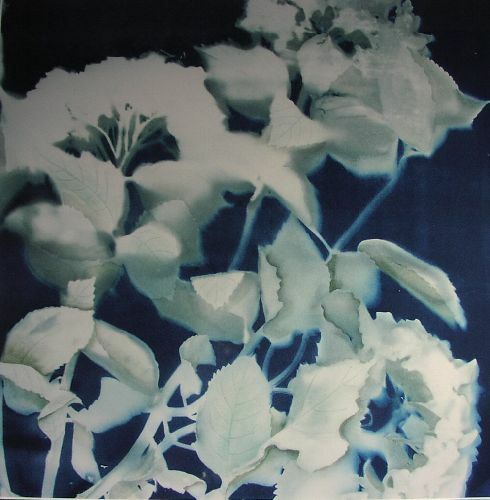 Judith specializes in the cyanotype photographic process and loves to combine photography with painting and mixed media. Judithâ��s images are in the homes of people throughout Vancouver Island, across Canada and internationally. All images are protected by copywrite and are not to be copied without consent of the artist. 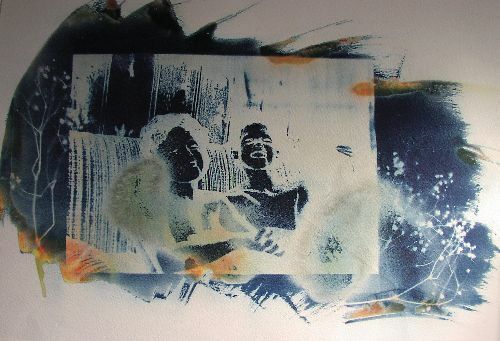 "Mike and Rich", Cyanotype photography, 22"x30",$995.